Warning : The Custom Entity Akeneo Labs extension is required to use this extension. Go to **Settings > Mapping**. Here you can find all the mappings created. Click on **Create** and fill all the required informations. 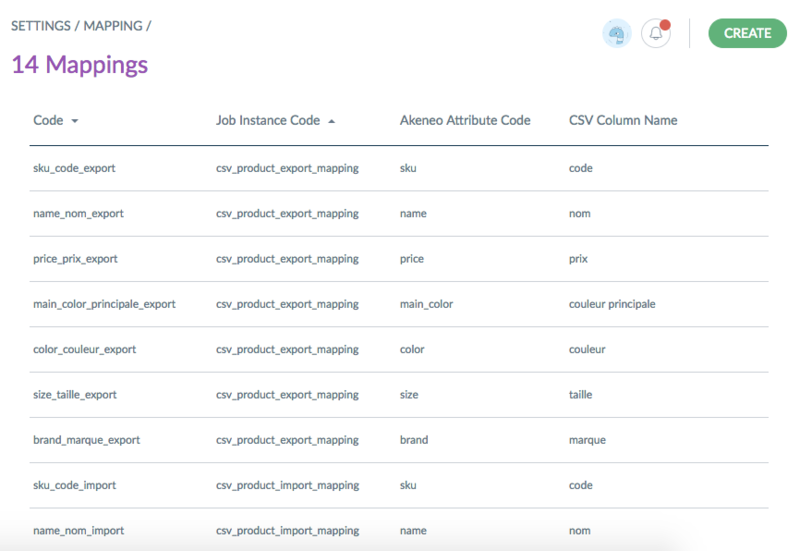 You can import easily your mappings via CSV because Akeneo already prepared a job type to import the reference datas. 1. First, go to **Import > Create Import Profile** and create an import job with the "Reference Data import in CSV" job type.